Auto News for Aug. 31 – Want to buy an elephant? Hard to believe that August is almost over! GM and the Army will reveal a Chevrolet Colorado based fuel cell electric vehicle in October. The vehicle is being developed with the Army Tank Automotive Research, Development and Engineering Center. The Army was drawn in by the quiet operation of fuel cell vehicles, along with their low end torque. “We expect the vehicle to be quiet in operation and ready to provide electricity generation for needs away from the vehicle. With fuel cell technology advancing, it’s an ideal time to investigate its viability in extreme military-use conditions,” said TARDEC Director Paul Rogers. It will help customers easily confirm if their vehicle is affected by a recall, and provide a convenient way to schedule an appointment for recall repairs. A life-size mechanical elephant that once called Detroit home and made an appearance at the 1980 Republican Convention, may steal the spotlight at Auctions America’s Auburn Fall weekend, August 31 – September 4. A Labor Day weekend tradition spanning 45+ years, the annual event in Indiana coincides with the world-famous Auburn Cord Duesenberg Festival, an event that attracts thousands of enthusiasts. Okay, the link to the auto world is thin, but how many times do you get a chance to bid on a life-size mechanical elephant? Wendell the elephant is set to make a big splash at this weekend’s sale where he is expected to fetch more than $250,000. The word is the cost of operation is just peanuts. Auto News for August 30 – Get Ready to Bolt! Chevrolet, countering some speculation to the contrary, said it is on track to introduce the electric compact car, the Bolt, later this year. To back that up, Automotive News produced a picture of a “production intent” Bolt at a recent event just north of Detroit. Years ago those were called prototypes. GM has said the Bolt will have a range of more than 200 miles. Allstate has concluded that when population density is part of the equation, Madison, Wisconsin has the safest drivers. Brownsville, Texas came in second in Allstate’s 12th annual “Best Drivers Report.” Boise, Idaho was third and in a bit of a surprise, New York City was fourth. Milwaukee came in fifth. BMW has ended production of its Z4 sports car that has been a slow seller here in the states. Motor Trend speculates that this could pave the way for a new sports car coming from the Toyota/BMW joint venture. It may be named the Z5 – “logical” said Mr. Spock. About 400 engineers will be added to Volvo’s roster to boost development in the areas of safety, autonomous driving and electric vehicles. A new survey concludes that Mercedes and Infiniti owners are more willing than most to make the switch to self-driving cars, when that technology finally makes it to the marketplace. Jeep and Ram pickup owners are the least likely to make the switch according to MaritzCX study. “Citroen is expressing its ambitions in upmarket territory, deploying its ‘Be Different, Feel Good’ promise in this segment,’” the company said. There are rear-hinged autoclave doors rising to the top of the roof and opening to a 90 degree perpendicular angle. Inside there is a single-spoke steering wheel, a nod to the brand’s history, and a “floating dashboard” with a three-dimensional appearance. Rear seat passengers get a mobile tablet that will allow them to adjust the seats and air conditioning while sharing media files with those up front. There are no outside rear view mirrors that function being given to two discreet side cameras that send images to a dashboard screen. Inside a wide angle HD connected camera records whatever the driver sees, for better or worse. “The openwork front and rear headrests feature two loudspeakers with integrated bass sound and microphones. These sound bubbles let everybody choose who they want to communicate with. Or simply sit and listen to their own audio program. Each journey can set the scene for either lively discussion or individual relaxation,” said the maker. A 19-inch screen replaces all of the buttons, switches, and dials typically found on the center console. The CXPERIENCE is a plug-in hybrid good for 300 hp with an 8-speed electric automatic gearbox. It has an all-electric range of about 40 miles. It is well worth a look, including seats that can be removed for outside use hopefully on a better day than the one depicted. Also, did those two people kiss? VW will cut prices it an effort to revive sagging sales here in the U.S. from the emissions scandal. Autodata said sales are off 14 percent this year. ChargePoint has opened its 30,000th charging spot on its network, this one in Chattanooga, Tennessee. Charging stations can be found using the company’s app. “The milestone comes as gas stations continue to decline markedly,” said the company. New vehicle sales are expected to decrease two percent year-over-year when the August figures are released shortly before the Labor Day weekend. GM sales are expected to fall five percent as it continues to reduce rental sales, which are less profitable. KBB said Hyundai/Kia could gain the most market share this month of all major manufacturers. A Saturday Special – Powerball Cars!!!!! DAMASCUS, MD. – You have overcome overwhelming odds and struck it rich in the Powerball or Mega Millions lottery and are anxious to go automobile shopping. You want a head turning, rubber burning, luxurious super car to drive through the gates and over the moat of your long dreamed of mansion. For the rest, well not one enthusiast can tell me they have never, ever, day dreamed about what they would buy if overnight they started comparing bank accounts with Warren Buffet. Thus, may I offer the following? The P1 should probably not be included in the “Powerball Car” series, but then again it is the Gisele Bunchen of the entire auto industry. McLaren has already sold all 900 of the 903 hp gas/electric P1’s that it will produce. The lucky owners will enjoy a 3.8-liter, 727 horsepower V8 paired with a 177 horsepower electric motor. 0-60 in a blood pressure raising 2.7 seconds and a top speed, probably best enjoyed in the Arabian Desert, of 217 mph. Regretfully, only 499 customers will be able to own one of sexist supercars on the world’s roads. “It boasts the most extreme performance ever,” said Ferrari in one of its more modest modes. That is backed up by a 6.3-liter V12 with 789 horsepower, and 516 lb-ft of torque. Not to forget the AC permanent magnet synchronous electric motor at 161 additional horsepower and 199 lb-ft of ever lovin’ torque. 0-60 in just 2.5 seconds and just 9.8 seconds to 150. A top speed of 218 mph on a fine track. The price cracks seven figures. “Designed to cut through the air and become one with the sky,” says Lamborghini of its Huracan based convertible. A wonderful 602 horsepower V-10 is the power and what power there is – 0-60 in just 2.8 seconds and a top speed of 201 miles per. Wind buffeting might be an issue at that speed and you probably would not care. Torque? Oh Yes! How’s about 413 lb-ft at 6,500 rpm. And the top folds in just 17 rain cheating seconds. This is one great car and a bargain compared to the Ferrari and the McLaren at $267,545 to start. That should clear out some dough to get a slightly bigger moat with your Powerball winnings. And if those Powerball payoffs ever approach the $1 billion mark again, and only the fastest of the fast will do, then there is only the Bugatti Chiron. Almost 1,500 horsepower from a quad-turbocharged V16 as its maker again strives to produce the fastest ride in the world, some 261 miles per hour. Too much? Nope! Bugatti said it has already received 200 orders out of the 500 it will build. No small thing for a car that will set you back $2.7 million. That is the base price by the way. “Ettore Bugatti, whose motto was ‘nothing is too beautiful and nothing is too expensive,’ would certainly have taken pleasure in this example of sheer craftsmanship,” says the company. And, “for the first time, it is possible to stow a suitcase with the size of a cabin trolley approved for air travel in the luggage space of a Bugatti.” That is what we would term a carry-on bag. Look for a formal release date early next year. And did I mention the 1,181 lb-ft or torque? A Houston jury has decided that GM’s controversial ignition switches were not to blame for a fatal accident back in 2011. GM maintained the accident was caused by reckless driving on a rain slicked road. A family was seeking more than $14.5 million. Volkswagen said it has reached an agreement in principle to compensate its dealers in the U.S. for losses incurred in the diesel engine scandal. But many details remain to be worked out in ongoing negotiations that VW hopes to conclude by the end of September. Police in Tyler, Texas are searching for the thieves who stole the tires and wheels off 48 new vehicles at the local Chevy dealer. The loss was estimated at about $250,000. The vehicles were left up on blocks. Color does matter when it comes to a car’s retained value. While the average car depreciated 29.8 percent over the first three years of ownership, orange and yellow color cars depreciated the least of any color – 27.4 percent and 26.2 percent less than the average car respectively, according to iSeeCars.com’s analysis of 1.6 million vehicles. These colors topped the list for the least depreciation across virtually all body styles and market segments. Gold cars depreciated the most according to the survey. California lawmakers have passed a measure that would reduce greenhouse gas emissions to a level that is 40 percent below the standard set in 1990. Governor Jerry Brown is expected to sign the bill. An earlier measure that would have mandated a 50 percent reduction was defeated. Opponents said earlier measures have added 12 cents a gallon to the price of gasoline in the state. You might have second thoughts about taking your classic car on a wintertime drive between Boston and Detroit, but … the America’s Car Museum and the North American International Auto Show have announced that Boston will be the starting point of “The Drive Home II: The Heritage Run” – an 11-day, 2,150 mile winter road rally, from December 28 to January 7, concluding at the opening of the North American International Auto Show. The Drive Home II will feature ACM’s 1957 Chevrolet Nomad, 1961 Chrysler 300G and 1966 Ford Mustang, all of which completed the first “The Drive Home” in early 2016, from the Museum’s headquarters in Tacoma, Washington to Detroit. America’s Car Museum is an international destination for families and auto enthusiasts to celebrate their love affair with the automobile and learn how it shaped our society. Based in Tacoma, Wash., the stunning 165,000-sq.-ft. facility has been recognized as one of MSN’s 10 Best Automotive Museums worldwide. Auto News for Aug. 24 – 300 miles on a charge! Tesla has unveiled a new battery that will extend the range of its Model S P100D to 315 miles on the EPA cycle, “making it the first to go beyond 300 miles and the longest range production electric vehicle by far.” Further, the bigger battery makes the Model S the world’s third fastest accelerating production car ever with a 0-60 time of just 2.5 seconds following two limited production sports cars. The larger battery pack will also be available on the Model X with a range of 289 miles and a 0-60 of 2.9 seconds. 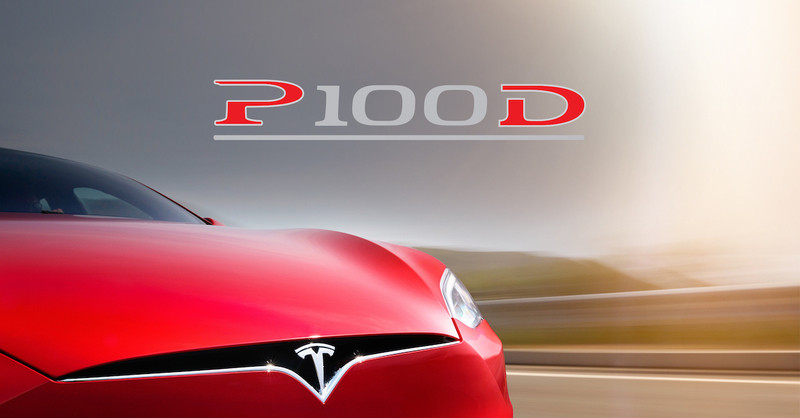 Tesla customers who have ordered a P90D Ludicrous, but not taken delivery, can upgrade to the 100 kWh pack for $10,000. It should be noted that Porsche, Mercedes and Audi are all working on vehicles that will meet or exceed the 300 mile range. Preliminary estimates from the National Safety Council indicate motor vehicle deaths were 9 percent higher through the first six months of 2016 than in 2015, and 18 percent higher than two years ago at the six month mark. An estimated 19,100 people have been killed on U.S. roads since January – enough to fill 382 school buses – and 2.2 million were seriously injured. The continued rise in fatalities is prompting the Council to predict the deadliest Labor Day holiday period since 2008. NSC estimates 438 people will be killed during the three-day holiday weekend. So be careful out there. 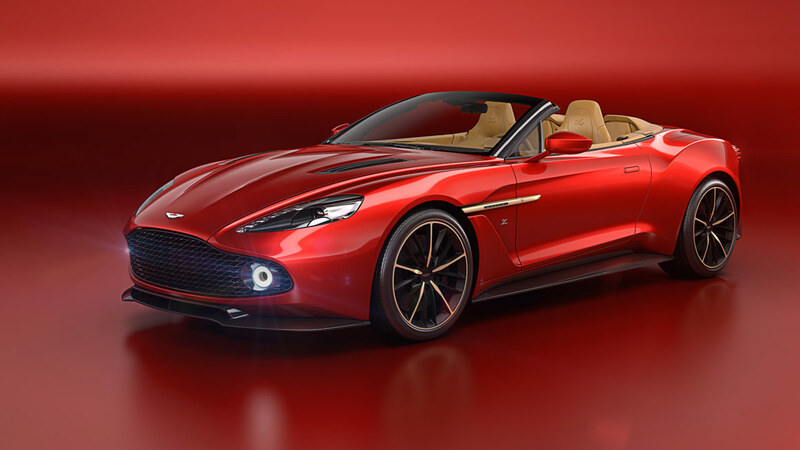 Here’s the latest from Aston Martin, the Vanquish Zagato Volante, the convertible model of the earlier announced coupe. The drop top will be a very limited production model with just 99 produced. It carries a V12 with 592 horsepower and a 0-60 of 3.7 seconds. Interior features include herringbone carbon-fiber, anodized bronze detailing and the finest Bridge of Weir leather. Customer deliveries begin in 2017.